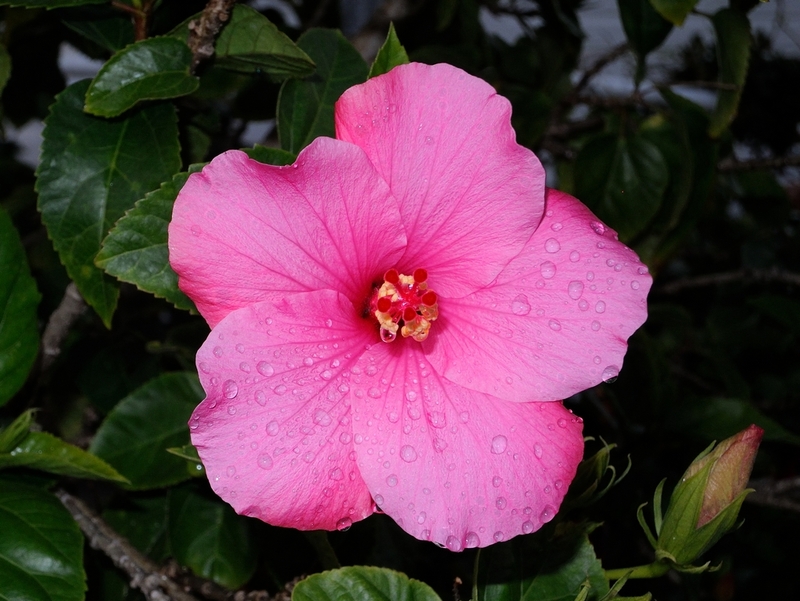 As I mentioned in my First Impression of the P7100 post, I am undertaking a project to document the Hibiscus in a local park. 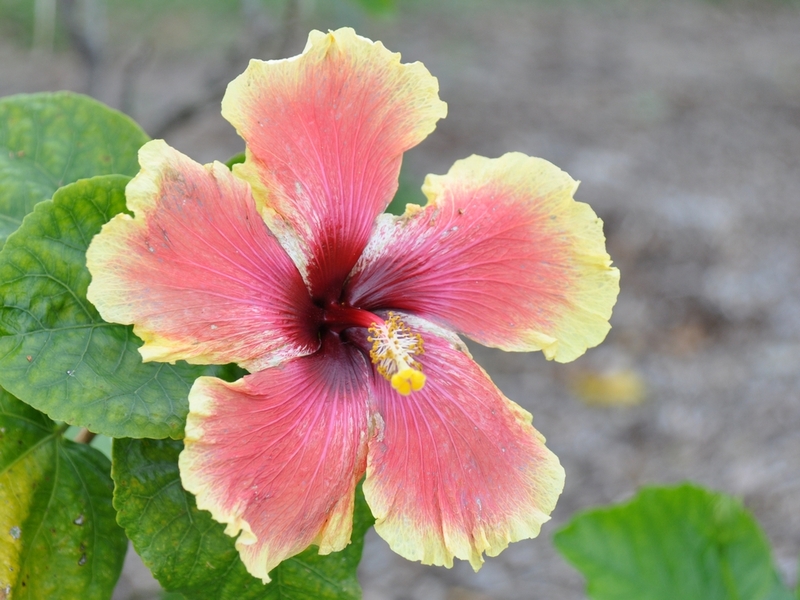 One of Americas premier hybridizers of the Hibiscus was Harry Goulding. He registered 479 varieties and created many more. Punta Gorda is proud to claim him and have created the Harry Goulding Memorial Garden at the Punta Gorda History Park. This is one of them from the P7100 post. It turns out that just finding a perfect hibiscus to photograph can be tough. You need to find them in full bloom and before the winds start damaging them. Here are a couple of ‘close but not quite’ shots of other blooms. Both of these have some slight damage at the ends of the petals. This usually happens when the breeze rubs the petals with the edges of leaves. These may be the best I get of these particular varieties though and will probably use them unless I get something better. Remember, this is a documentation project, not fine art so absolute perfection is not required so long as the characteristics of the bloom are captured. 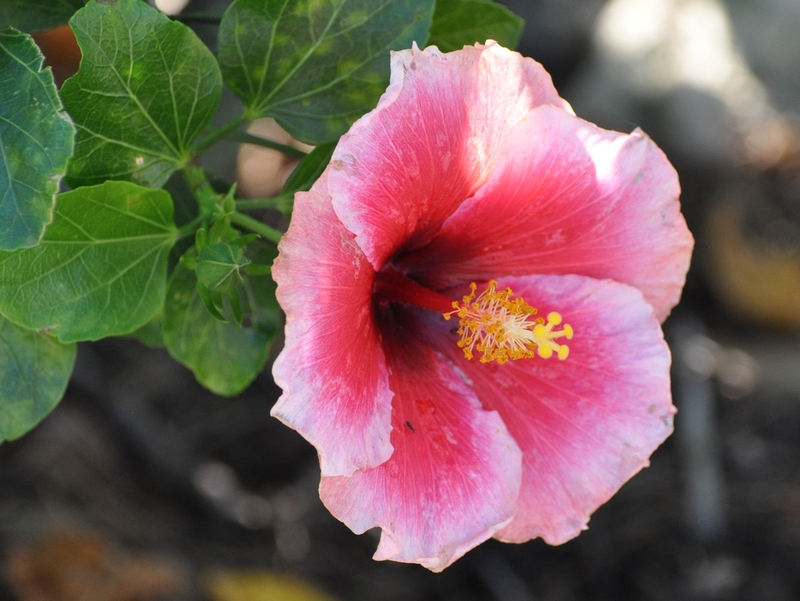 There are almost 100 varieties of hibiscus in the park and all bloom at different times. To complete the project, I need to be able to stop in at almost any time and take a few shots of good examples. The Nikon P7100 is ideal for this. It’s small sensor provides a lot of depth of field and it’s color resolution is near perfect. I don’t need to lug a huge amount of kit. I can keep the camera in the car while running errands and stop in the park to check new blooms as I happen to be passing. This entry was posted in Camera Gear, Flower, Park and tagged Photography. Bookmark the permalink.